Drums, Bass, RHYTHM! This is what gets your body moving and at the same time relaxes your mind and soul. Sounds good to me anyway. 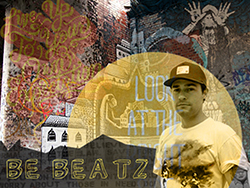 BeBeatz, AKA Ashley Town is a Drummer/Producer/Vocalist and has been for over a decade and currently based in Brisbane. The BeBeatz sound is derived from mixing dance music production with acoustic and electronic instruments. A typical live show or recording will consist of live drums, Vocals, keys, synths and samples. The end result is not fixed to a genre or a scene. The need to experiment and push new concepts and technology is what it's all about.